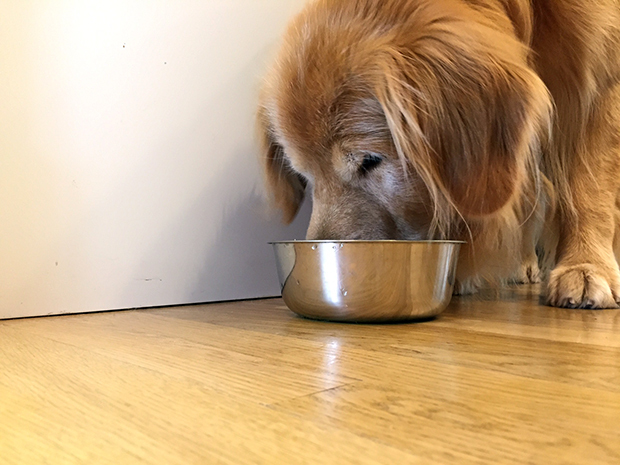 As part of Michigan’s routine pet food surveillance program, microbiologists in the Michigan Department of Agriculture and Rural Development (MDARD) Laboratory Division were used to testing random samples of dog food. While they rarely found anything unusual or harmful, they continued this testing. On April 2, 2012 the importance of their work was made abundantly clear. In the MDARD microbiology lab, the unopened bag of dry dog food which was selected at random from a store shelf, looked like so many others. Such samples usually tested negative for contaminants and foodborne pathogens, but this one tested positive for Salmonella Infantis. The MDARD team recovered an isolate from the sample and sent it to the state’s PulseNet lab at the Michigan Department of Health and Human Services (MDHHS), Bureau of Laboratories. There, scientists performed pulsed-field gel electrophoresis (PFGE) testing on the sample and promptly uploaded their findings to the PulseNet database. Once the data was entered on April 10, lab scientists noticed that the PFGE pattern from the contaminated dog food matched PFGE patterns from human illnesses in the US and Canada. These human cases were previously unsolved; the random sample of contaminated dog food was the smoking gun in over 50 human cases. They forwarded the information to state epidemiologists who promptly initiated an investigation. Human illness from pet food isn’t uncommon. No, it doesn’t mean someone ate dog food. When humans handle pet food, any contaminants can be left on their hands. From there it’s easy to spread those potentially-harmful pathogens to other surfaces or unwittingly ingest it. It’s important to wash hands after handling pet food and thoroughly clean any surfaces where the food may have been. In response to the discovery that previously unsolved human cases of Salmonella may be linked to the contaminated pet food, every key player was contacted. MDHHS reached out to MDARD’s Rapid Response Team, the Food and Drug Administration’s (FDA) Detroit District Office, the Public Health Agency of Canada, and notified PETNet, the FDA’s pet-food tracking system. The dog food manufacturer was also contacted to inform them of the findings. Because the manufacturing facility listed on the bag was said to be in Missouri, the Missouri Department of Agriculture was also contacted. It was later discovered that the factory where this food was made was in Gaston, South Carolina, so the South Carolina Department of Agriculture was eventually contacted as well. As the scope of the investigation widened, state agriculture laboratories, public health teams, and CDC and FDA scientists joined Michigan’s epidemiologists and laboratory scientists in responding to the outbreak. They collaborated closely to conduct trace-back investigations of the implicated products, implement recalls and limit additional exposures by informing the public of the health risks associated with the products. On April 20, scientists at the Ohio Department of Agriculture isolated the outbreak strain from an opened bag of dog food collected from the home of a case-patient. And on April 30, MDARD and FDA scientists isolated the outbreak strain from dog food samples collected from the SC facility. With a clear link between the contaminated food and human illnesses established, the pet food company issued a national recall of the implicated brand of dog food. As the Departments of Agriculture in South Carolina and Ohio identified other contaminated pet foods manufactured by the firm, this recall was expanded eight times to include 17 brands representing approximately 30,000 tons of dry dog and cat food, all produced at the South Carolina facility. Ultimately 53 human illnesses in 21 states and two Canadian provinces were connected to the outbreak. Ten of these cases required hospitalization. In addition, 37 animals were sickened, and there were numerous complaints of illnesses that met the case definition. However, the effects could have been far worse as 30,000 tons of contaminated pet chow could have caused innumerable cases of human and pet illness if distributed. But thanks to Michigan’s routine pet food sampling program, clear PFGE data entered into PulseNet and strong collaboration among public health partners, the spread of disease was halted.